2 Chainz spoke about going to Kanye West to create the cover art for his new album. In a recent interview with Billboard, 2 Chainz spoke about creating the album cover for his much anticipated Based on a T.R.U. Story. The cover, shot by photographer Fabien Montique, is basic and bold with two bright gold chains contrasted against a dark backdrop. 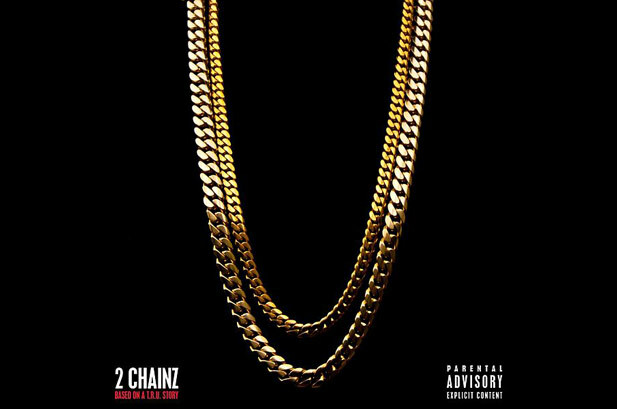 To create the cover, 2 Chainz turned to the G.O.O.D. Music honcho, who enslisted the services of his new design house, DONDA - named after West's late mother. "Kanye and I share a similar vision and think along the same lines creatively. So, when it came time to develop the imagery for my project, I trusted him and his team at DONDA to get the job done and communicate my sentiments," 2 Chainz said in the interview. "They were the first people I thought of. Their team is unprecedented. Expect next level imagery, sonics and stage performance. This is curated art. The Louvre of rap." The rapper has been seemingly everywhere lately, including being featured on Kanye's banger "Mercy". 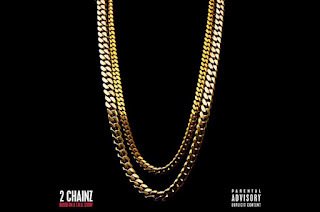 2 Chainz album Based on a T.R.U. Story is due out August 14th.